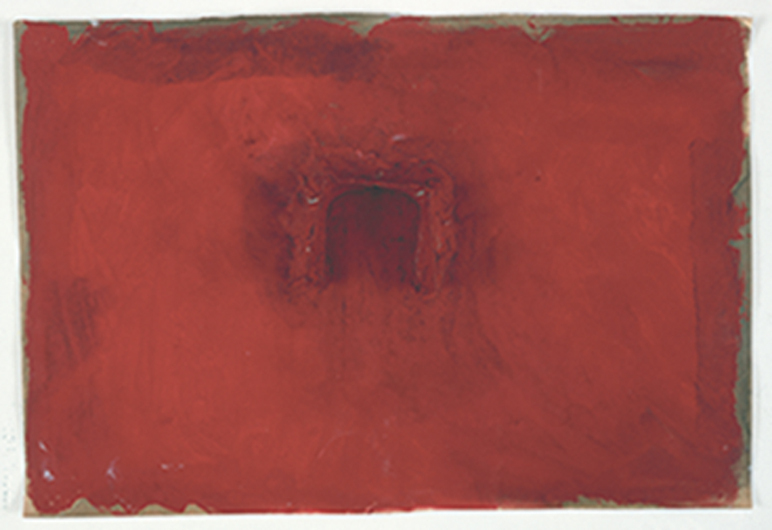 Anish Kapoor (b. 1954, Bombay) lives and works in London. One of the most influential sculptors working today, Kapoor studied at Hornsey College of Art (1973–77) followed by postgraduate studies at Chelsea School of Art, London (1977–78). He won the Turner Prize in 1991 and has honorary fellowships from the London Institute and Leeds University (1997); the University of Wolverhampton (1999); the Royal Institute of British Architecture (2001); and the University of Oxford (2014). He represented Britain at the 44th Venice Biennale (1990), for which he was awarded the Premio Duemila. He was elected Royal Academician in 1999; awarded the Premium Imperiale in 2011; the Padma Bhushan in 2012; and 2013 was knighted in the Queen’s Birthday Honours. In 2017 he was named the Genesis Prize Laureate. Recent major solo exhibitions include Museo d'Arte Contemporanea di Roma (MACRO), Rome (2016); Museo Universitario Arte Contemporáneo (MUAC), Mexico City (2016); Château de Versailles, France (2015); The Jewish Museum and Tolerance Center, Moscow (2015); Sakıp Sabancı Museum, Istanbul (2013); Martin-Gropius-Bau, Berlin (2013); Museum of Contemporary Art, Sydney (2012); Le Grand Palais, Paris (2011); and the Royal Academy of Arts, London (2009). His major permanent commissions include Cloud Gate (2004) for the Millennium Park in Chicago and Orbit for the London 2012 Olympic Park. In 2013 Ark Nova, the world’s first inflatable concert hall, was launched for the Lucerne Festival in Japan.